Aging is an inevitable part of growing older, but that doesn’t mean you have to allow age to diminish your youthful appearance. A facelift, formally known as a rhytidectomy, is a surgical procedure that removes excess skin and tightens the face to reverse tell-tale signs of aging. Facelift surgery is one of the most popular cosmetic procedures in the world, and Nathan Eberle, M.D., D.D.S., proudly performs facelift surgery for the men and women of Fort Lauderdale and Broward County at the Weston Center for Plastic Surgery. A facelift is a surgical procedure that corrects signs of aging and improves the contours of the middle and lower one-third of the face. 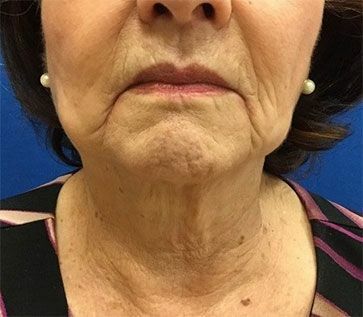 Facelift surgery accomplishes this by addressing the soft tissue descent of the midface in addition to the jowls and excess skin along the neck and jawline. If you suffer from these age-related imperfections, a facelift may be the solution you need to enjoy a more youthful appearance. The best candidates for facelift surgery are people who exhibit signs of aging but don’t have any major health concerns that would interfere with the healing process. Candidates should also have a realistic and positive outlook about their results. Patients should also understand that while a facelift can improve the appearance of age-related imperfections, it will not stop the aging process. However, patients can age more gracefully following the procedure and prolong their results with the proper care and protection for the skin. Upon admission to the Outpatient Surgery Center, a clinician will check your vital signs, and you’ll be asked to disrobe and put on a surgical gown. Dr. Eberle will then mark your problem areas with a marker to guide his placement of the incisions and the overall surgical procedure. Facelift surgery can last anywhere from two to four hours, but the duration of the procedure varies greatly from patient to patient depending on the severity of the age-related problems a patient would like to correct. It is common for a patient to also have additional facial procedures performed at the time of facelift surgery including brow lift, blepharoplasty (eyelid lift), neck lift, and facial augmentation with fat or material of choice. Once anesthesia is administered and the incisions have been placed, Dr. Eberle removes excess facial skin and tightens and repositions the underlying facial muscles to resculpt the contours of the face. The remaining facial skin is then redraped over the underlying muscles and sutured closed. Modern, sophisticated facelift techniques ensure that incisions are well-placed and concealed in areas that make them undetectable. In a traditional facelift, incisions are generally placed in front or behind the ear extending up and slightly behind the hairline. A set of additional, yet smaller, incisions may be made below the jawline to remove excess fat from the neck and chin areas. WHAT TO EXPECT AFTER A FACELIFT? Bruising and swelling are both unavoidable after a facelift, and patients can reasonably expect some degree of these side effects. However, we’ll do all that we can to keep pain and discomfort to a minimum. Nearly 90 to 95 percent of our patients take prescription-strength pain pills for only a day or two after the procedure; then they transition to Tylenol, mainly for relief from the feeling of tightness. The lack of acute pain following surgery surprises most of our facelift patients. The most discomfort that you may experience following surgery is mild back or neck pain from keeping your head elevated with extra pillows at night. 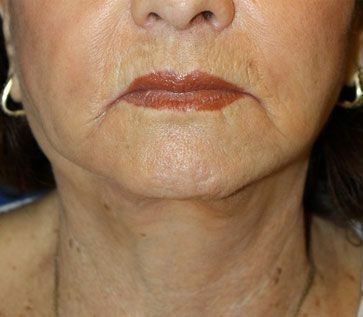 A tight, pulling sensation across the treatment area is the most common complaint among our facelift patients. This is normal, and as the underlying facial muscles and facial tissues continue to heal, the swelling and pulling sensation will reach its peak around the third day following surgery, but these side effects should subside around the fifth day of recovery. Any tightness or discomfort in the neck area as a result of sleeping in an elevated position should also gradually subside as you continue to heal. Facelift surgery is performed through surgical incisions, so scarring is inevitable. However, Dr. Eberle goes to great lengths to hide incisions behind areas such as the ears and uses his precise and skillful hand to minimize their size and appearance. Any obvious scars that form will continue to fade over time. WHEN WILL I SEE THE RESULTS OF MY FACELIFT? Some results are fairly obvious and noticeable immediately after the procedure, but the full benefits of a facelift may not be apparent for several weeks. As with any surgery, the full results are gradual and will become more apparent as swelling completely subsides and the facial muscles and tissues continue to heal over the course of three to six months. The results of a facelift tend to stay with many patients for 10 to 15 years. However, the natural aging process affects everyone differently, and the duration of facelift results will vary from person to person. WHEN CAN I RESUME MY NORMAL DAILY ACTIVITIES AFTER FACELIFT SURGERY? Most facelift surgery patients feel well enough to walk around the house and perform light housework as early as two days following the procedure. Moving your body as early as possible following a facelift will actually facilitate a smoother and quicker recovery. Many patients feel slight stiffness and soreness in the neck area for a couple of weeks following a facelift procedure. This can impact your range of mobility, but most patients can manage the discomfort with their prescribed pain medication or Tylenol. The body will gradually recover following a facelift, and most patients can resume their normal physical activities, such as lifting and running, within as little as two to three weeks. If you underwent a mini-facelift with no lifting or skin removal from the neck, you could expect a quicker recovery in comparison to patients who undergo a traditional facelift. WILL I LOOK DIFFERENT AFTER MY FACELIFT SURGERY? There is no definitive answer to this question as the aggressiveness of Dr. Eberle’s approach depends on the degree of your condition. 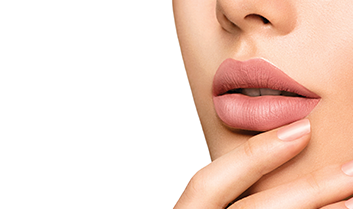 Some patients only require subtle changes to experience noticeable results, while other patients need a more aggressive approach to obtain their desired outcome. Dr. Eberle will discuss your desired outcome and the surgical approach he recommends during your facelift consultation. We want to make a striking and noticeable difference in our patients, but in a very natural-looking fashion. Dr. Eberle does not believe in the “wind-swept” look and does not perform facelift procedures with this being the desired outcome. During their facelift follow-up visits, we often ask our patients what other people are saying about their results. The most common answer we receive is that other people think they look like a well-rested and rejuvenated version of themselves. People often comment that something looks different about our patients, but they just can’t figure it out offhand, which is what we strive to achieve. Making a difference that you can see and delivering a satisfactory and pleasing outcome is the underlying goal of everything we do. Facelift costs vary considerably from patient to patient due to the different techniques that are used. The Weston Center for Plastic Surgery offers financing.